SCBWI's Annual Winter Conference in New York is just few days away! I fly to York today to attend Digital Book World previous to the SCBWI event. Look for my tweets with the #DBW hashtag. And, starting Friday, follow the conference live via SCBWI TEAM BLOG's post on The Official SCBWI Conference Blog and on twitter via #NY11SCBWI. Since I've finished over-packing, I have time to bring you one last pre-conference interview roundup with a group of editors and agents. Editors KRISTA MARINO (Delacorte), FRANCESCO SEDITA (Penguin), and KATE SULLIVAN (Little, Brown); and agents KERRY SPARKS (Levine/Greenberg) and MARY KOLE (Andrea Brown) are participating in the Writers' Intensive that kicks off the weekend of conferencing. I asked this group to offer some advice on interacting with them in a conference setting. We've all heard stories about manuscripts being thrust under bathroom stalls and other inappropriate behavior. Below, our publishing professionals talk about what makes a good impression--including being yourself, not being too aggressive, and being memorable (in a good way). I also asked them why they attend conferences. What's your advice on interacting with editors and agents during a conference? KRISTA MARINO: Conferences can be overwhelming for everyone, even editors. At this conference we’re here prepared to critique not acquire. Cornering an editor and pitching your book idea will only make them less eager to work with you. They can’t lug home manuscripts and they can’t really have a spur-of-the-moment conversation about your work with you. KATE SULLIVAN: Be memorable. But of course, be memorable for a good thing. You want an editor, if they ever see your stuff down the line, to say, “Oh, that’s the woman who had everyone cracking up at her honesty” or “I remember this guy. He gave the most thoughtful and constructive comments.” Obviously, this can backfire if we remember you for forgetting your please and thank yous, dressing in a costume made of foam, or sending increasingly large giftbaskets every time you ask for a status update on your submission. KERRY SPARKS: Be your natural self--we are just people like everyone else! And remember that we really want your work to be great and we need writers in order to do our jobs. So it’s not an Us against Them sort of situation. Don’t bombard us with your pitch, but rather kindly ask is we are open to receiving submissions. MARY KOLE: Be relaxed and try to smile when you're approaching an agent or just seeing one in the elevator. Don't come and aggressively start pitching. Read the situation. If people are hanging out and chatting, go with the flow of the situation and make normal conversation with an agent or editor. If the moment feels right, you can pitch (keep it really brief, though), or you can just make a strong connection and offer to send the agent a writing sample and query later. Not every agent encounter at a conference has to be a pitch...it's often enough to have a great conversation and then remind the agent later that you met them! >>> For a little more on the topic, check out this helpful post from Dystel & Goderich VP/Agent Michael Bourret, who offered some advice after attending an SCBWI regional conference. What do you get out of attending conferences? KRISTA: At this particular conference I not only get to see new work, but I get to actually meet the author and see how he/she accepts criticism. Editorial direction and criticism is such an big part of the publishing process and it’s invaluable to an editor to actually get to participate in it in person. Aggressive, abrasive behavior will turn me away from even the most promising manuscript. FRANCESCO: Laughs. A good time. And a chance to like go to a high school reunion sorta, without all those pesky gym class memories. And, really, a chance to bat my eyelashes at Lin. Love that lady. Steve's pretty cute, too. KATE: Reconnecting with the beginning of the process, more than anything: It gives me perspective. I’ve also made great friends, and often learned something from those I’m there to teach. KERRY: Hopefully, I get some new talented clients with great projects! And I also get to see editors and meet new editors which is a big part of my job. MARY: I love interacting with writers, hearing ideas, and getting a chance to give a talk or address a crowd on a panel. I'm a teacher at heart, so I really do enjoy being helpful, whether it's with feedback on a pitch or answering a question during Q&A. Conferences are also great places to interact with SCBWI RA's and volunteers, authors, other agents, and editors. Not only do we meet writers, but we can network and have lots of fun with the faculty! Some of my best friendships, with writers and other kidlit professionals, have been forged at conferences! Ten days until conference time! The latest SCBWI TEAM BLOG interview with Annual Winter Conference faculty was posted today by Lee Wind on his blog I'm Here. I'm Queer. What the Hell Do I Read? Lee interviewed Putnam Publisher Jennifer Besser. Jennifer will offer breakout sessions on "What Makes Your Work Publishable: Today's Market in Children's Books" concurrent with a number of other editors, agents and art directors. Below is a bit from Lee's interview. Click here to read the full post. Jennifer Besser is the Publisher of G.P. Putnam’s Sons, an imprint of the Penguin Young Readers Group. Prior to joining Putnam in April 2010, Jennifer was an Executive Editor at Disney Hyperion, and before that, she got her start in publishing at Miramax Books. And her very first job was at age 11, selling popsicles on Venice Beach. She much prefers her current gig. Jennifer manages a stellar team of editors and also edits children’s books for all ages, from picture books to young adult fiction. She is the editor of Rick Riordan’s #1 New York Times best-selling Percy Jackson and the Olympians series, as well as the Red Pyramid. You can still register for the event--it starts January 28th--and get a chance to see Jennifer Besser and a host of other publishing professionals in person. 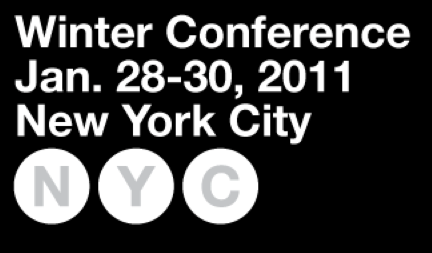 SCBWI's Annual Winter Conference in New York is just eleven days away! If you're attending, you may be planning your outfits and your evening activities in the city (which you certainly should), but you should also be thinking about how to make the most of the event. So I checked in with a few of the editors and agents participating in the conference to ask for some advice to pass on to you. Editors Krista Marino (Delacorte), Franceso Sedita (Penguin) and Jennifer Rees (Scholastic) and agents Kerry Sparks (Levine/Greenberg) and Kary Kole (Andrea Brown) are participating in the Writers' Intensive that kicks off the weekend of conferencing. At this day-long event, writers have the opportunity to get feedback on a manuscript from a several editors and agents, and writers offer feedback to one another. Intensives have limited space for writers and this year's Writers' Intensive (as usual) sold out super fast. But even if you aren't attending it, you probably have been or will be in a critique situation, whether at a conference with an editor or agent, one-on-one with a critique partner, or in a critique group setting. Here are some things to keep in mind offered by our group of industry insiders. What's your best advice for writers regarding making the most of a manuscript critique? KRISTA MARINO: I think that sometimes writers use critique time to “defend” their work or pitch their idea instead of to hear what people took away when they read the piece. Writers need to remember that they won’t be standing next to a reader as their book is being read to defend a decision. And we don’t need you to tell us the market or how your work has a readership. It’s our job to know these things. Always keep in mind that editors and agents want to work with writers who are open to suggestions, not writers who think their work is already done. Act appropriately. FRANCESCO SEDITA: Do it because you love it. Go in with an open mind and just take it all in. Don't worry about what is said; it's all for you to take in and digest. It's very hard to hear criticism when the pressure is high. It's hard to keep the "Wait, I didn't win the Oscar face?" on when some bonehead is telling you that your project isn't right for whatever reason. Breathe. JENNIFER REES: I encourage writers to really listen to what everyone is saying--whether you agree with it or not. For a moment, set aside what you think you know about your story and listen to what others tell you. And take lots of notes! Then you can go home, sort through everything with an open mind, and choose what you want to listen to and what is best to dismiss. KERRY SPARKS: I think coming prepared to hear criticism is key and being open to really hear what people are saying. But also being strong enough in your work to knowwhat you can and can’t change. MARY KOLE: Try not to be overwhelmed or respond emotionally. If you're in a critique situation, take the feedback that's being offered to you and make sure to ask specific questions or for clarification. Critiques often feel like they fly by...don't pass up a chance to really nail down your personal feedback with the person who read your sample. You should also ask for ideas on next steps: What should you do next? How can you grow and evolve from this point forward? What's your best advice for writers regarding offering criticism of other writers' work? KRISTA: Always remember to treat people the way you would like to be treated. If you have criticism, offer a compliment as well. And make your criticism constructive. “That’s horrible” or “I hate horses” isn’t helpful to anyone. FRANCESCO: Don't speak because everyone else has. Um, that's sort of my advice in life. But it's really important here because then you just say something dumb and dumb sometimes leads to inadvertent mean and mean leads to someone crying and crying just brings everyone down, people. Nobody needs that. Speak from your heart--as a reader, a writer, and a person who is just as crazy about and committed to their craft as the person you're addressing. JENNIFER: My advice is to speak up! Some writers clam up because there is an editor sitting there and they don’t want to look foolish, but if you can be generous enough to share your insights into another writer’s work with the whole group, then chances are that they’ll do the same for you when your time arrives! KERRY: Offer criticism by first finding a way to compliment the work. There is almost always at least a few good aspects to any work, so starting off with that and then leading into what might not quite work will soften the blow. Also, really offering a solid suggestion of an action step the writer can take to improve it is really helpful. MARY: It is crucial to learn how to critique the work of others. That keen editorial eye that you develop when you're critiquing will, one day, filter down to how you look at your own work. When you're critiquing, avoid emotional and unhelpful reactions to material, like "I didn't like it" or "that sucked." If you have something like this on the tip of your tongue, try and think why you may be having an issue with the piece. It's much more helpful for a fellow writer to hear something like, "The pacing of this scene is slow, so I found myself skimming. Maybe there's too much description going on between dialogue exchanges," or whatever. Also, you can throw out ideas and suggestions, but don't take the wheel and prescribe what a writer should do. Just give them feedback. Addressing it is their job. You'll hear from this generous group of editors and agents again soon. In the meantime, you can still register for the Annual Winter Conference. Click here for information. And remember, check out the Official SCBWI Conference Blog for live coverage of the event by SCBWI TEAM BLOG. ALA Award Winners Snubbed by TODAY SHOW in Favor of Snooki. The result? Outrage, Letter Writing & One Cool Contest! Librarian/blogger Betsy Bird and author Jame Kennedy are making lemonade out of this TODAY SHOW lemon. They've kicked off a video contest called 90-SECOND NEWBERY which challenges any creative lover of children's literarture to make a video that compresses the story of a Newbery award-winning book (Honor books included) into 90 seconds or less. As an example, here's a video of Madeleine L'Engle's 1963 Newbery winner, A WRINKLE IN TIME, amusingly abbreviated into 90 seconds. "A Wrinkle In Time" In 90 Seconds from James Kennedy on Vimeo. Betsy and James also have plans underway for a star-studded 90-SECOND NEWBERY Film Festival at the New York Public Library in Fall of 2011. So get out your Flip and condense an award winner! And spread the word! SCBWI HQ is all abuzz about the snub as well. Says Executive Director Lin Oliver, "I can’t believe we have to continue to fight for recognition of what we contribute to society. Jeez Louise." Indeed! Never an organization to sit back quietly, SCBWI decided to say a few words to TODAY SHOW producers via the letter below. They drafted similar letters sent off to the LA TIMES and the NEW YORK TIMES. I am the Executive Director of the Society of Children’s Book Writers and Illustrators, a non-profit international organization of 24,000 professional children’s book writers, illustrators, publishers, editors and agents. We are, if you will, the equivalent of the Writers Guild for children’s book authors and illustrators. 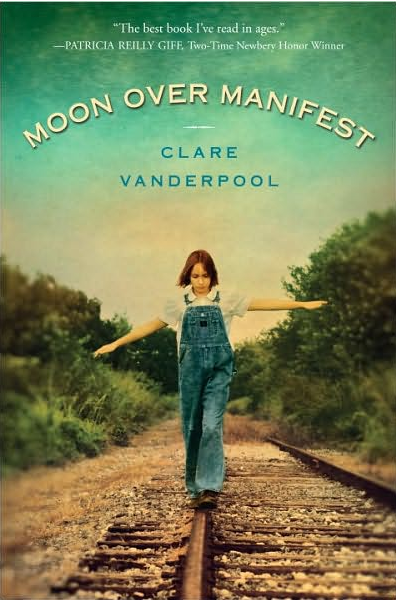 On behalf of all our members, I have to express dismay at your decision this week not to run the traditional interviews with the winners of the Newbery and Caldecott Medals. The books that are granted these prestigious awards represent the best of what we have to offer children---great storytelling, strong values, a legacy of literature and hope and high-minded ideals. What you elected to run in that spot, an interview with reality star Snooki, represents the exact opposite. Of course, we understand the need to attract audiences and maintain ratings, but we feel broadcasting should also serve the needs of citizens who are looking to inspire their children, to raise up their sights. The exposure that your show has always offered to the best in children’s literature is admirable. Why stop now? 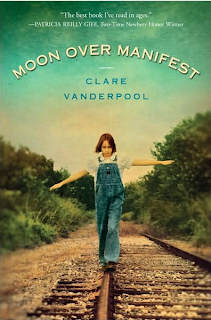 In choosing not to run the interviews with Clare Vanderpool and Erin Stead, we feel that you underestimated the intelligence of your audience. Parents are dying to get their hands on good books for their kids. Booksellers are eager to sell and promote good books for kids. In fact, the children’s book segment of publishing is the only sector that has not declined during the recession. It’s good business, good broadcasting and good ethics to use some of your program time to honor the best books for children. On behalf of our industry, we sincerely hope you can find a way to remedy your decision. Looking forward to hearing from you. We'll keep you posted as to what (if any) response is recieved from these media outlets. In the meantime, let us know what you think about the TODAY SHOW's lack of coverage. Leave a comment. Blogger Lee Wind (whose birthday is today--Happy Birthday Lee!) 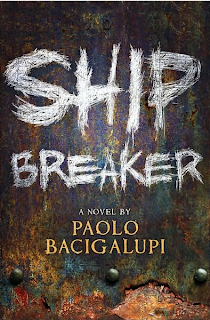 posted the latest SCBWI TEAM BLOG interview with Annual Winter Conference faculty. Lee spoke with award-winning author Lois Lowry, who will be delivering the keynote speech to open the conference. Below is a bit from Lee's interview with Lois. Click here to read the full interview on Lee's blog, I'm Here. I'm Queer. What the Hell Do I Read? Lois has received countless other honors for her work. In recent years she has traveled extensively, speaking to children in Spain, Germany, Belgium, Luxembourg, Indonesia, Japan, New Zealand, and Australia about the importance of literature and imagination in their lives. She is a mother and grandmother and has worked as a photojournalist as well as a writer of fiction. She even has a blog! As Lee mentioned above, you can still register for the event--it starts January 28th--and get a chance to see Lois Lowry in person, as well as the terrific faculty of industry insiders amassed for the event. Click here to access the registration page. Hope to see you there! ALA Awards: Celebrating the 2011 Winners! illustrated by Bryan Collier, written by Laban Carrick Hill, published by Little, Brown and Company, a division of Hachette Book Group, Inc.
by Clare Vanderpool (SCBWI member), published by Delacorte Press, an imprint of Random House Children's Books, a division of Random House Inc.
by Jennifer L. Holm (SCBWI member), published by Random House Children's Books, a division of Random House, Inc.
by Paolo Bacigalupi, published by Little, Brown and Company, a division of Hachette Book Group, Inc.
by A.S. King (SCBWI member), published by Alfred A. Knopf, an imprint of Random House Children’s Books, a division of Random House, Inc.
by Lucy Christopher, published by Chicken House, an imprint of Scholastic Inc.
ALA announced a number of other awards as well--check out their website for a complete list, and make room on your reading list. 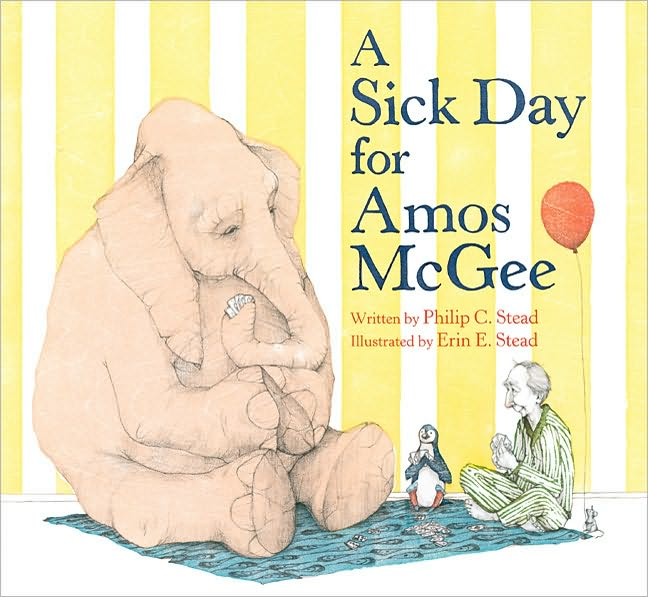 And congratulations to all the terrific authors and illustrators recognized for their excellence by ALA! 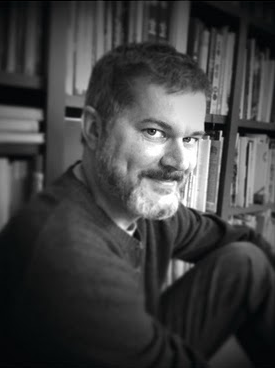 SCBWI TEAM BLOG continues our pre-Annual Winter Conference coverage with TEAM BLOGger Lee Wind's interview with faculty member Mo Willems, posted a few days ago on Lee's blog, I'm Here, I'm Queer. What the Hell Do I Read. Below is a snippet from Lee's interview with Mo, who will no doubt have us rolling in the aisles. Click here to read the full interview. Mo Willems’ work in children’s books, animation, television, theater, and bubble gum card painting has garnered him 3 Caldecott Honors, 2 Geisel Medals, 2 Carnegie Medals, 6 Emmys, and multiple bubble gum cards. Upcoming non-bubble gum card projects include Hooray for Amanda and Her Alligator, a portrait of the relationship between a girl and her stuffed alligator told in 6-1/2 stories. More information about Mo’s past, present, and future can be gleamed at www.mowillems.com. Mo will be part of an incredible panel on Sunday January 30th, "Look Who's Laughing: How To Do Funny For Young Readers and Why" that's sure to have us all cracking up... and thinking! It's not to late to register for the event and enjoy the panel on humor featuring Mo Willems in person, as well as the rest of the great lineup. But the days are dwindling--the festivities begin on January 28th--click here to visit the conference registration page. And whether you attend or not, visit the Official SCBWI Conference Blog for live coverage of the event. Bookmark or follow today! 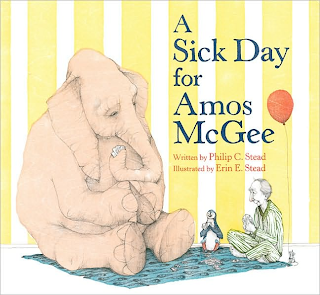 2011 Tomie dePaola Award Winner Announced! SCBWI received more than 150 entries from illustrators for the 2011 Tomie dePaola Award. This year's contest asked illustrators to create an original piece interpreting the opening of Johanna Spyri’s HEIDI. "I want to see an image, a style, a vision that I’ve never seen before!" Tomie said. "I want to be surprised, excited and--VERY jealous that I didn’t think of that way to illustrate it." The winner, chosen by Tomie dePaola himself, is Katia Wish. Katia wins a $1,000 gift certificate for art supplies, plus full tuition, transportation and accommodations to the SCBWI Annual Winter Conference. Her winning piece will be featured at the exhibition in New York. "The composition of Katia's piece is very striking, as is the point of view," said Tomie. 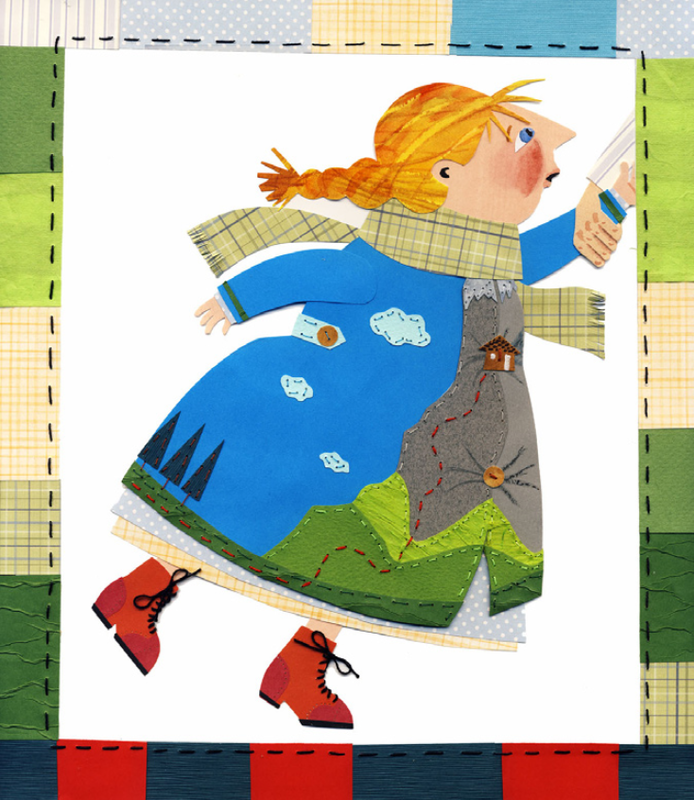 "I like her painting style and the figure of Heidi is full of life. 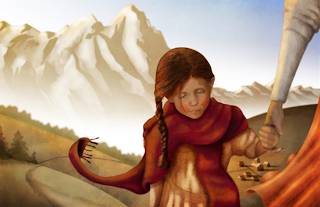 I also like the way she placed Heidi's face against the black skirt of the adult figure. 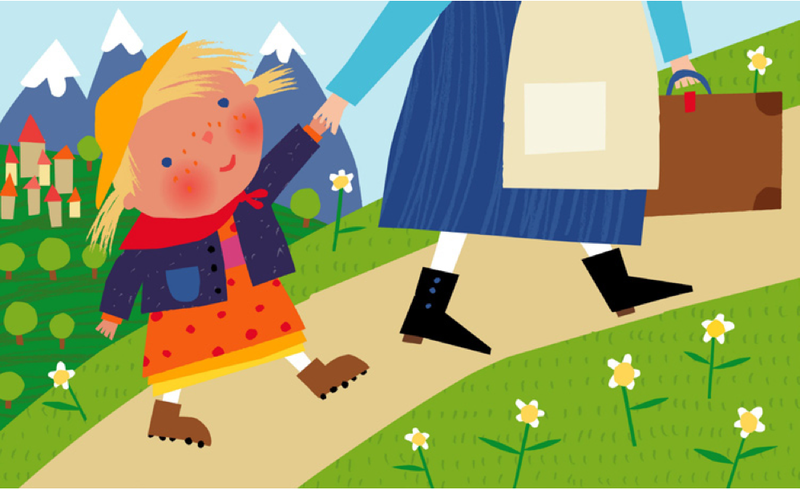 The vertical shape of the illustration gives the viewer a real sense of the mountains and I love the way Heidi is being 'pulled' into the picture." Congratulatins, Katia Wish! Here is her winning entry. 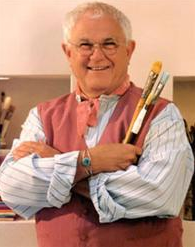 Here are three other entries that Tomie dePaola found noteworthy with commentary from him. They are the work of Julie Phillipps, Bradley Cooper, and Nancy Davis. incorporating the landscape into the coat. Very nice. rendering of Heidi's face, full of emotion. child or even an adult book. that caught my eye. Very child-like and perky. The illustration challenge for next year's Tomie dePaolo Award has not yet been announced--check SCBWI.org for updates. It's the fifth year of the Cybils (the Children's and Young Adult Bloggers' Literary Awards) and the first round judging recently wound up. After considering tons of nominated books, blogger/judges in all 11 categories have released their short lists and it's onto the final round judges (myself included) to choose the winning books. And rest assured, it won't be easy. If you'd like to learn more about how the Cybils work, click here for an FAQ. And I offer kudos to the first-round judges for their hard work and deliberation in choosing the cream of the crop, and congratulations to the finalists for your terrific work. The award winners will be announced, with much book love, on Valentine's Day. Happy New Year, dear readers! I've missed you. I hope you missed me back. And--fingers crossed--I'll get to see many of you at the 12th Annual SCBWI Winter Conference that's coming up in mere weeks (January 28-30) in New York City. There's still time to register! While I was busy shopping, wrapping, making ravioli and assuring the boy that Santa exists, SCBWI TEAM BLOGger Jaime Temarik was busy posting some year-end interviews with art directors on her blog CocoaStomp (and I'm fairly cerain she also baked some cookies). First Jaime talked to Lucy Ruth Cummins, Associate Art Director at Simon & Schuster. Below is a bit from her interview. Click here to read the full post. Jaime: Okay, help is on the way. In the meantime, I'm having my people send Justin [Chanda] a bunch of emails so he'll be distracted and hopefully you'll be able to answer a few more questions. Illustrators will definitely want to know if you are currently acquiring? Lucy: We are always acquiring new talent. I'm always keeping my eyes peeled. Even if I can't place someone on a project immediately (and it is true that some parts of publisher's lists are shrinking!) I'll often keep them on hand waiting for the right project. An example of this is the debut book from illustrator Jon Klassen, CATS' NIGHT OUT by Caroline Stutson - Jon just received the Governor General's Award for this project, and I had had his work on hand for several years before I was able to pair him with the perfect project. Although we may not always be able to immediately put the rubber to the road with new folks, good artwork makes a strong impression and the quest for a winning collaboration is always on my mind. As for what I'm looking for - there's never anything specific. I love such a range of things, but I'm mainly looking for things I'm touched by. I love cute. I love simple. But I also love creepy and detailed! There's no one thing I'm looking for and I'm always happy to be surprised. Next Jaime talked with Denise Cronin, Vice President in the Penguin Young Readers Group and the Art Director for Viking Children’s Books. There's a snippet below. Click here to read the full post. Jaime: Denise, did you know not only are you an Art Director, you're a flipping Vice President? What is your average day like? Denise: If you count time spent on the train, checking files and reading manuscripts, my day is about 9 hours. We are usually juggling about 60 books at various points of development. I work very closely with the editors and the designers in my department from start to finish. Making books is very collaborative. Rarely do I work alone. Be sure to check out both the interviews for insights from these terrific art directors and to see if they had the same answers to Kill, kiss or marry: Helvetica, Baskerville or Comic Sans? If you attend the conference, you can meet each of them during their breakout workshops. And--attention illustrators--there's still space in the Illustrators' Intensive, Beyond Books: Picture Books and the New Media. And remember, whether you join us in New York or not, SCBWI TEAM BLOG will offer full coverage of the conference and intensives, live blogging throughout. 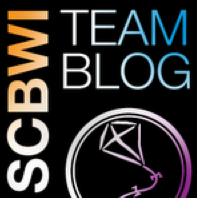 Bookmark or follow the Official SCBIW Conference Blog today!